Due to a nasty bout of The Plague (for which I am now being prescribed narcotics that allow me to do important things like swallow my goddamn food), I found myself with a lot of free time and not a lot of drive to leave the Spider Hole basement office. 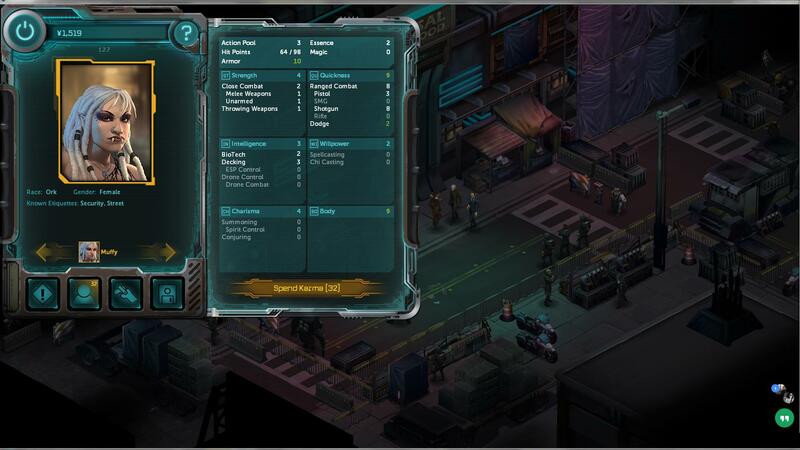 Inspired by alcoholfueledmachine’s recent post, I decided to finally check out Shadowrun Returns. Bought it on Sunday (at like 5am because I couldn’t sleep) and beat it round 9pm on Monday. I’m pretty sure my inability to pace myself has been well documented. I may also have watched six nine episodes of Unbreakable Kimmy Schmidt today as well. Super tanky ork samurai named… Muffy. Muffy, the shotgunner of faces. I can drink more than you. And that’s why you’ll always be fatter than me. I don’t see what the problem is – you played the game like a normal, rational adult with a family and responsibilities. I played like a plague-ridden, anti-social, basement dweller because… well, I’m sick. We should have streamed Shadowrun Returns, although my stream would’ve been super boring. I didn’t realize there were keyboard shortcuts until the last mission.